These are the regular training times for the year 2018-2019. Beginners (and at least 16 years old) are more than welcome to directly turn up at any Thursday sessions. If you’re comfortable with break falling, have a judogi and know a few techniques then you will cope with any of the sessions. If you are really unsure which session is appropriate then drop us an email at c.u.judo@sport.cam.ac.uk. As a mixed University-City club, we train all year long. 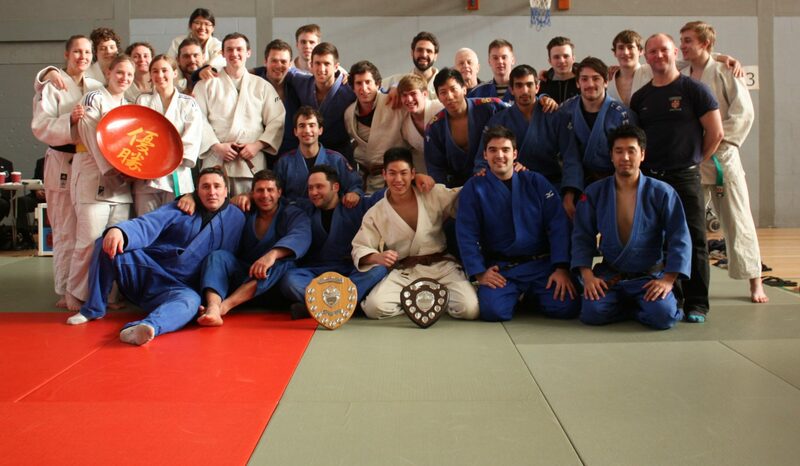 There is a Randori session at Comberton Judo Club, which some of our members may attend. The membership page has information on how to become a member of the club and mat fees. All sessions take place in the University Sports Centre. Unfortunately, during the University exams (late May – early June) we may not be able to use the Sports Centre and may train elsewhere, with a different timetable.